The green is a 100 mile radius, which I try to source as much of my food from as possible. 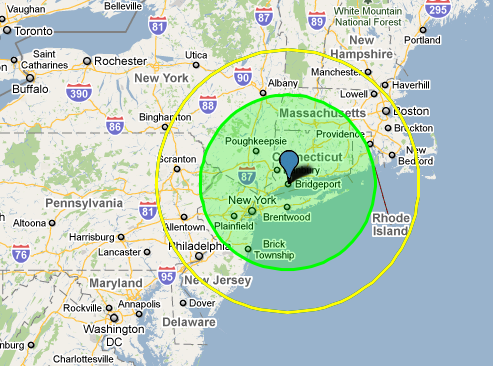 During winter, however, I sometimes have to extend a bit further to a 150 mile radius (yellow circle). Since we booked our tickets for New Years in Ireland and Wales I’ve been craving a hardy meat and potatoes kind of meal. 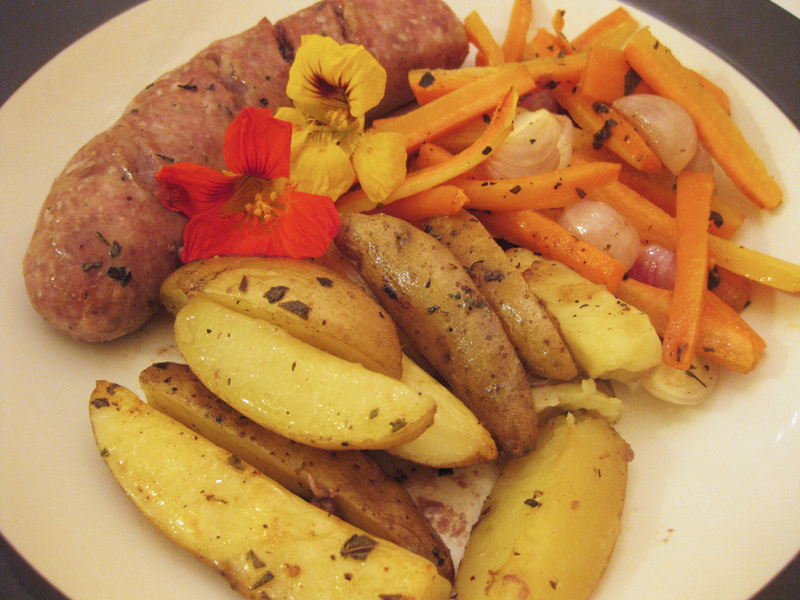 This week I made sausages with fingerlings and carrots. Everything for this meal (except the oregano) was by way of Connecticut Farm Fresh Express. Entry filed under: Farms, My Garden, What's Cookin'. Tags: Bear Pond Farm, Cedar Meadow Farm, Connecticut Farm Fresh Express, Dark Days Challenge, Hidden Brook Gardens, Hilltop Acres, Riverbank Farm, Simply Grazin' Organic Farm, Two Guys from Woodbridge, Urban Oaks Organic Farm.